Furnishing your workspace with sustainable office furniture is an environmentally responsible decision for your company in the Mississauga, Ontario, region. These days, business owners have many options when it comes to furnishing their workspaces, and it’s no surprise that products made of environmentally friendly materials are becoming increasingly popular choices. Instead of contributing to the waste that ends up in landfills or the destruction of rainforests, you can furnish your office with sustainable pieces that will allow you to enjoy your new upgrades guilt-free. If you want top-of-the-line, sustainable office furniture for your business in the Mississauga, ON, area, turn to the trusted experts at Reusable Office Interiors. We carry beautiful and functional pieces from popular manufacturers like Haworth, Herman Miller, Teknion, Steelcase, Knoll, and others. Plus, we specialize in the sale of refurbished and gently used furnishings, so we can help you find the office furniture you want at a price that fits within your budget. In addition to the aesthetically pleasing and functional office furniture we provide, we also offer excellent services to our customers. In order to make the process of updating your office as easy as possible, our experienced technicians can handle all of the furniture deliveries and installations you require. We can also provide office interior design services to make certain that your workspace reflects your unique brand. 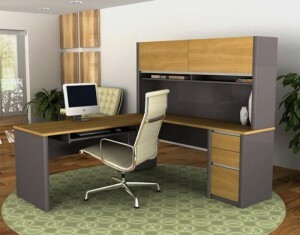 For more information about the sustainable office furniture we offer to business owners in and around the Mississauga, ON, area, contact Reusable Office Interiors today. We’ll be pleased to answer your questions.